I think one of the reasons so many people enjoy watching Korean Variety Shows is that hosts and guests play the games to win. There’s no just going through the motions, they are in it to win and their competitive spirit is obvious. However, an underlying reason may be that in most games the losers are punished. Punishments can range from causing mild embarrassment to painful physical penalties. Three of the most well know variety shows for penalties and punishments are perhaps, 2 Days, 1 Night, Running Man, and Weekly Idol although these by no means are the only ones. Weekly Idol takes place in a sub basement against blank walls, and with no audience except the production crew. In this way everything is focused on the idol guests and their interaction with the hosts and each other. It is up to the idols to show themselves to advantage. Challenges are accepted and games are played with gusto, while failure is met with harsh punishments, sometimes metered out by the losing idols very own group mates. The most intense self punishment by an idol group was Teen Top. In fact on their next appearance they found out that weren’t allowed to play random play dance like that anymore and a new punishment for failure was chosen. One of the most popular punishments in general life as well as on variety shows is the takkbam or forehead flick. Most idol groups have played it amongst themselves and kinda know where they stand within their group. Often it is the member you least expect who will be a powerful ‘flicker’. Here we see Kihyun from MonstaX earn the respect of host Jeong Hyeong Don. Onew, from SHINee is said to be one of the most powerful players and there’s a long list of celebrities who can attest to the strength of his hit. Another punishment is the wrist slap, which I’m pretty sure some of us have done to our friends on school playgrounds around the world. 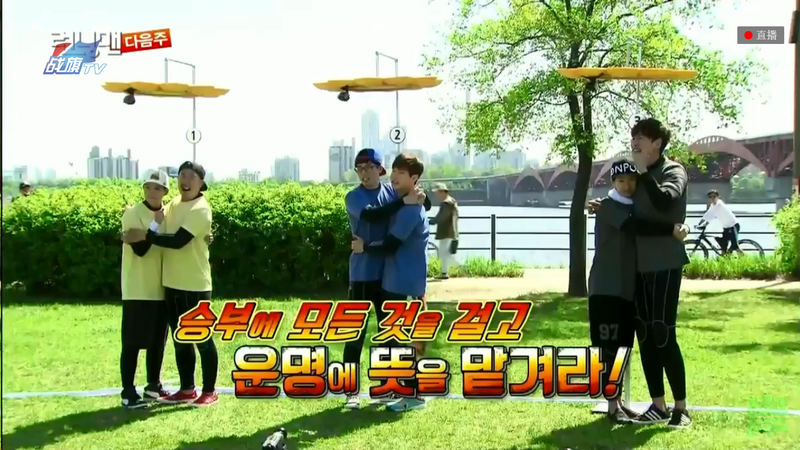 Here BTS gets punished for failure in the random play dance. Notice that it is often their own group who mete out the penalties. Along with the kicking we saw earlier from Teen Top, slapping of butts is also quite popular. 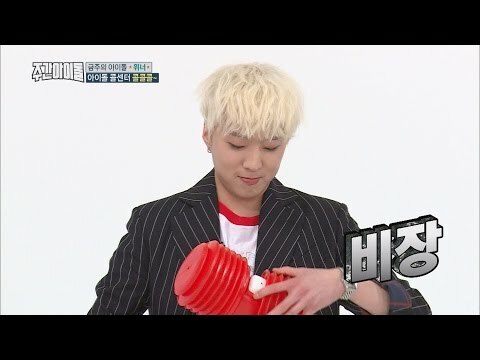 The most iconic punishment on weekly idol however, may be the squeaky toy hammer. Often used by the hosts on guests as well as guests on each other it illicites some strange reactions. IU, and then later GD just couldn’t stop laughing. I think they actually may have been in shock. Even the biggest names in Kpop are not exempt from the toy hammer, Big Bang, Twice, Hyuna, APink, Beast, SHINee, Sechs Kies, Winner, Black Pink and many others have succumbed to the crash of the hammer on their heads. 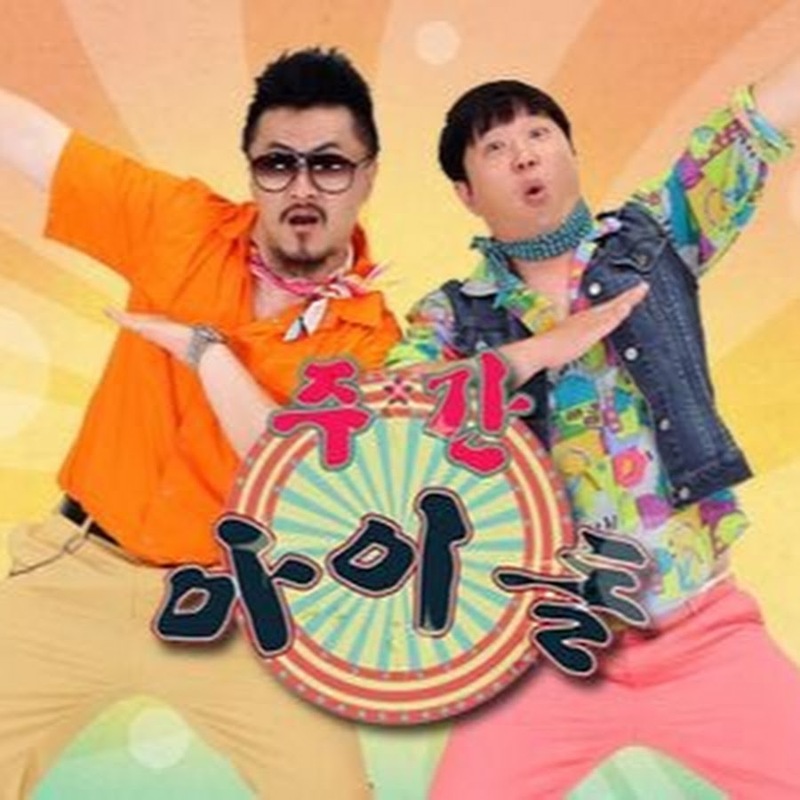 A favorite show of many fans, Weekly Idol is a master at handing out punishments for losing, particularly the almost un-winnable Random Play Dance. I’ll cover other penalties and punishments in Part 2. You may also enjoy Korean Variety Show Games, Happy Anniversary Weekly Idol, and Best Of Weekly Idol Random Play Dances. Photo and video credits to original owners. ← Music Analytics + Culture = The Music Fold. I agree. It’s more fun when it’s the hosts vs the guests. Or if the hosts split and separate into teams. Yes, I’m sometimes amazed at how competitive some hosts and guests are.